What a difference a year made for Joseph Alcoff. On Monday, the 37-year-old has a court date in connection with charges hes facing in Philadelphia that include aggravated assault and ethnic intimidation for allegedly being part of an Antifa mob in November that attacked two Marines, Alejandro Godinez and Luis Torres, both Hispanic. Alcoff and two others charged in the attack have pleaded not guilty. But while Democratic officials are distancing themselves from Alcoff now, until recently he was a well-connected, aspiring political player in Washington who may have even had a hand in key policy proposals. His endorsement apparently mattered when several congressional Democrats in February 2018 issued press releases with his quote backing their bill on regulating payday lenders. As the payday campaign manager for the liberal group Americans for Financial Reform, Alcoff participated in congressional Democratic press conferences, was a guest on a House Democratic podcast and met with senior officials at the Consumer Financial Protection Bureau from 2016 through 2018. 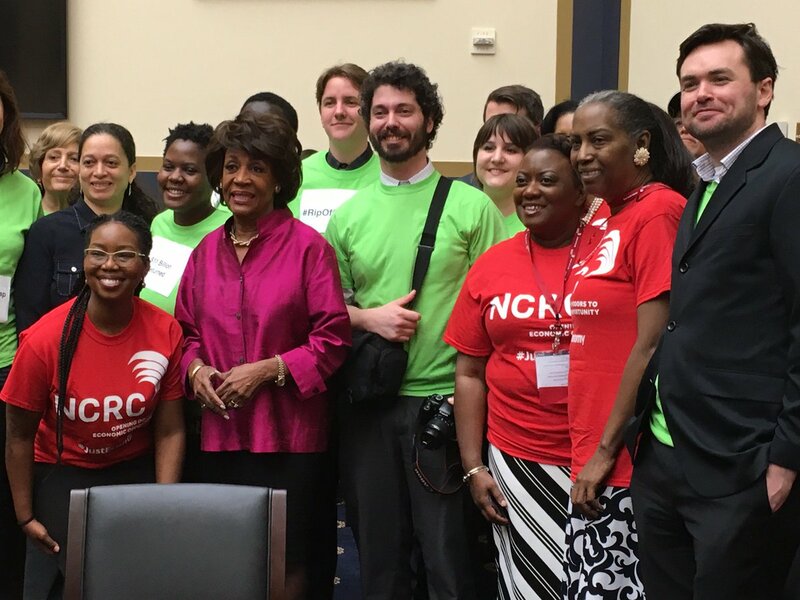 He was also pictured with now-House Financial Services Committee Chairwoman Maxine Waters, D-Calif., and ranking Democrat on the Senate Banking, Housing and Urban Affairs Committee Sen. Sherrod Brown of Ohio. Both committees oversee financial regulatory policies Alcoff was advocating. Alcoff met with then CFPB Director Richard Cordray and other senior CFPB officials on April 2016, again in March 2017 and a third time in May 2017, as first reported by the Washington Free Beacon. During this time, he reportedly was an Antifa leader in Washington. Alcoffs former employer had little to say about the matter. As of December, Mr. Alcoff no longer works for AFR, Carter Dougherty, spokesman for Americans for Financial Reform, told Fox News in an email. Dougherty didnt answer whether Alcoff had been fired or resigned. He also didnt answer whether the organization was aware of Alcoffs associations during his employment. Alcoff was reportedly also an organizer for Smash Racism DC, the group responsible for gathering and shouting threats outside the home of Fox News host Tucker Carlson in November and for heckling Sen. Ted Cruz, R-Texas, and his wife Heidi at a Washington restaurant in September. Reports have not said Alcoff was directly involved in either incident; only that he was associated with the group. Democrats are hardly eager to be associated with Alcoff now. Most spokespersons for Democratic members of Congress did not respond to inquiries from Fox News, or distanced themselves from Alcoff. In one appearance, Alcoff dressed up as Lenny the Loan Shark at an event last March held outside the CFPB headquarters, which featured Rep. Don Beyer, D-Va. In the February 2018 press statement, House and Senate Democrats co-sponsoring the Stopping Abuse and Fraud in Electronic (SAFE) Lending Act, which boosted regulation on payday lenders, issued versions of a press release, most including the Alcoff quote. In August, Alcoff was a guest on the House Democrats' Joint Economic Committee podcast, criticizing the decline of the CFPB under the Trump administration. Its been an incredible kind of erosion [Trump administration actions] recently, but these are really, really important basic functions [CFPBs mission] that people across the country should be able to look to Washington and expect, Alcoff said on the podcast. In connection with the subsequent attack in Philadelphia, the two Hispanic Marines said the Antifa mob of about 10 or 12 attackers shouted racial slurs during the beating. Only three from the mob were identified and arrested. The attack happened at the same time as a right-wing rally in Philadelphia, which Antifa showed up to protest. The Marines who were assaulted said they were not even aware of the rally. Coard, an African American activist in Philadelphia, also told the magazine regarding the alleged slurs, The question that I have for the D.A.s office and the police is this: Does anybody think that I, Michael Coard, would represent a racist? Were is the call for Demoncrats to denounce Antifa the fascist/socialist terrorist group?? ?